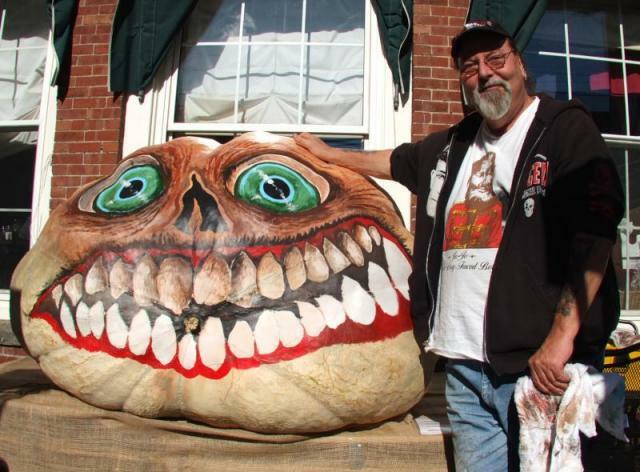 Cartoonist Glenn Chadbourne said that his pumpkin was the largest he had painted since he began in 2008. 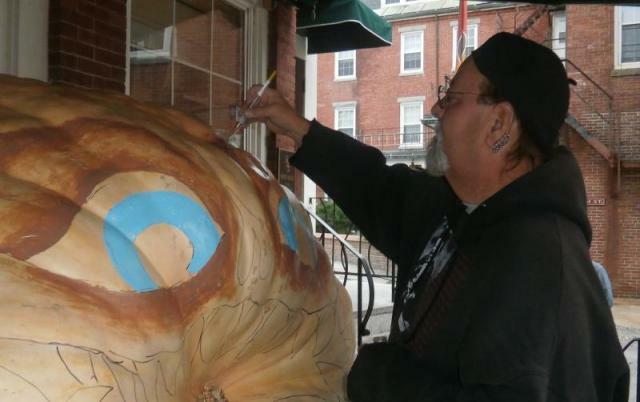 His giant gourd in front of King Eider’s Pub weighed 1,435 pounds. Always on a horror theme, Chadbourne was not sure how it would turn out but the eventual piece would “drip out of my head” as he moved along. There’s also a video from the event, which includes Glenn at the 2:15 mark. Here’s a photo of Glenn and his 2014 pumpkin.